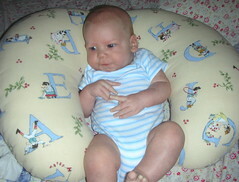 Nicole's Needlework: Matthew - 9 weeks. I just had to share a couple pictures of the baby! 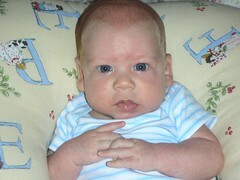 I can't believe how big he's getting! Time flies! It's amazing how much he's changed in 9 weeks! Does he know that he's famous?